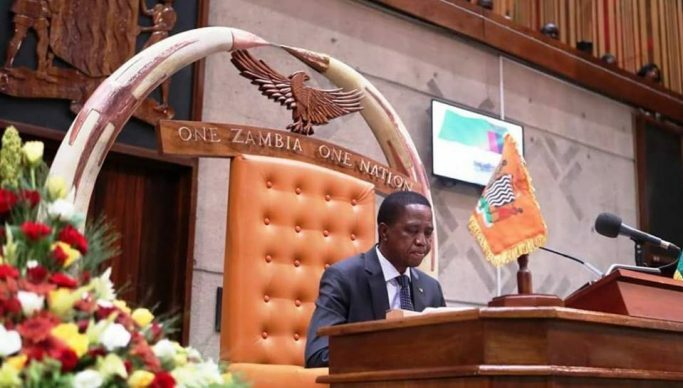 THE Zambia Civic Education Association (ZCEA) says President Edgar Lungu’s speech to Parliament on national values and principles last week was an act of ‘fulfilling the fixture’ or a ‘business as usual’ matter. Giving her postmortem to President Lungu’s speech, ZCEA executive director Judith Mulenga stated that the only thing she took away from the address was the development of the ‘national framework’ to assist in gathering evidence in the application of national values and principles. President Lungu was roundly heckled on Friday by opposition members of parliament as he listed six aspects that constitute Zambia’s national values and principles. “The speech to Parliament by President Lungu was, what we in civil society call, ‘ticking off a box’ or ‘fulfilling a fixture’ or ‘business as usual,’ meaning going through the motions when your whole heart and mind would rather be somewhere else,” Mulenga stated in a press statement. She proposed that Article nine Paragraph two of the Constitution, which required the President to once every year report to the National Assembly the progress made in the application of the values and principles provided for in Article eight, be expunged from the current Constitution in the upcoming constitutional review. “Instead, retain Article 71 of the final draft Constitution of the Republic of Zambia of 23rd October 2014 which requires the President to each year, when addressing the National Assembly, to report on the measures taken by the State in the realisation of the Bill of Rights,” Mulenga stated. She stated that there even seemed to be confusion on the interpretation of the same national values and principles. “How do statistics in increased reporting of gender-based violence be associated with improved morality and ethics when we should be talking about actual reduction of GBV instead of reporting? Doesn’t increased reporting mean that GBV is still prevalent?” she wondered. On defilement, Mulenga wondered how President Lungu could publicly state that his government was concerned with curbing defilement when “it was him who released General Kanene, a convicted defiler from prison after serving less than the 10th of his full prison sentence. “In other countries, public figures such as Kanene are used to send a strong message that indeed there is no one above the law but here it is the opposite and once a year the President can go to the National Assembly and tell the public what he thinks the public wants to hear and everything remains ‘business as usual!’” stated Mulenga.